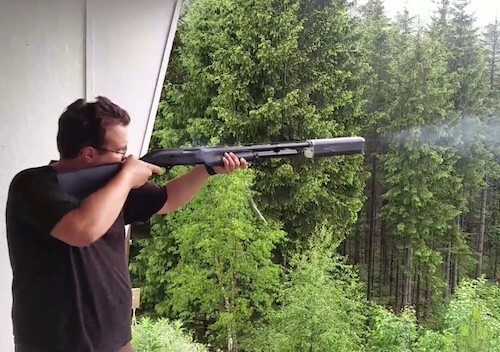 So what exactly is a shotgun suppressor? Well, for one thing, they’re also known as silencers … but they’re not exactly quiet. Folks in the weapons industry often refer to shotgun silencers simply as suppressors. This is because they suppress, rather than silence, the booming blast of a gunshot. The popularity of suppressors is due in part to the value they offer to hunters because they give the hunter multiple shots without frightening the game. The hearing association rates the deafening sound a shotgun makes as painful. In fact, they compare the sound to a jackhammer. This is why silencer companies actually recommend the use of hearing protection — even when using their products. Silencers/suppressors have been around for quite some time. Automotive engineer Hiram Maxim invented the first silencer in the early 1900s, basing the design on a car muffler. Silencers are expensive and can cost anywhere from $700 to $1,400. Additionally, they are not easy to purchase. 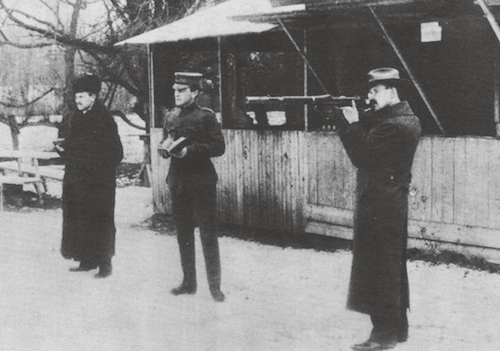 The federal government placed restrictions on them in 1934 with the National Firearms Act, which was passed in an effort to control gang violence. The government has the same regulations for silencers as a machine gun. Say what? It means that any person who wishes to buy a silencer has to mail or fax his or her photo and fingerprints to the Bureau of Alcohol, Tobacco, Firearms, and Explosives. They also have to pay a $200 tax. However, compared to that, it’s easier to buy a gun, which requires a background check. Many gun owners possess shotguns and even more own 12-gauge shotguns. Chances are that it’s either a pump-action shotgun or a semi-automatic shotgun. In fact, both types of shotguns can do serious damage to the target it hits. But, like all firearms, they are pretty loud and may possibly scare away other living targets. On the other hand, for those in a combat scenario, shooting a shotgun may alert the enemy of your surroundings. If you happen to be in this situation, you would need a silencer attachment for your shotgun to prevent the incredibly loud noises. It’s very likely that everyone who owns a gun owns a shotgun. However, until SilencerCo appeared on the scene, most of these shotguns had never been suppressed. 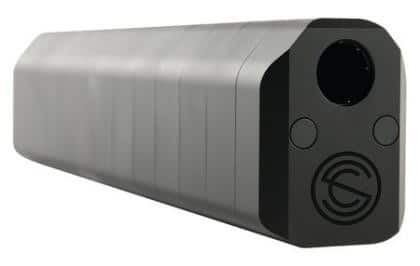 In addition, the Salvo 12 is the only commercially available, modular, and safe shotgun silencer/suppressor on the market today. SilencerCo is one of the top gun silencer producers in the world. SilencerCo announced, at the end of July 2014, the release of the first and only commercially available shotgun suppressor, the Salvo 12. The Salvo 12 is very popular among consumers. Moreover, the company has gained their customers’ trust over the years because of the quality craftsmanship that goes into each one of their products. Every year shotgun owners around the world reach for the Salvo 12 as most are concerned about ear protection during hunting season. Some users choose ears muffs or plugs, but this solution only works in a controlled atmosphere. The reason being it’s useless in field use where it’s necessary to recognize other sounds for safe hunting. The Salvo 12 is extremely flexible and offers the user customization features to their liking. Simply add or remove any section from the shotgun to keep a balance in sound, weight, and length. At its fullest possible length (12 inches), the sound at the muzzle is 137 dB. This level of sound is below the standard level of 140 dB, as set by OSHA for safe hearing and ear protection. The Salvo 12 suppressor is designed to operate with most pump action and semi-automatic shotguns. For example, configurations of 6 inches, 8 inches, 10 inches, and 12 inches allow the user to customize the Salvo 12 suppressor for clay shooting, turkey hunting, home defense, and more — all while achieving the proper sound reduction. If you’re looking for the best silencer for all types of 12-gauge shotguns, the Salvo 12 is a hefty contender. Whether you use it for hunting, shooting for sport or for home security, just make sure you have a choked barrel. Another important feature of the Salvo 12 is the fact that it comes with a lifetime guarantee. In addition, the Salvo 12 carries the same acclaimed lifetime warranty as all other SilencerCo products. 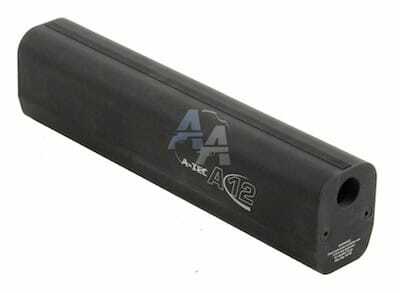 The A-Tec A12 Shotgun Silencer is developed to work with any semi-automatic or pump-action shotgun. Actually, if you know how to install a choke into the bore of your shotgun’s barrel, then you will be able to easily install the A-Tec A12 Shotgun Silencer. The A-Tec A12 comes with a modified choke (one end of the choke goes into the bore and the other end attaches to the silencer). Next, when you begin to shoot the shotgun, its sound will be reduced significantly. How Quiet Is The A-Tec A12? 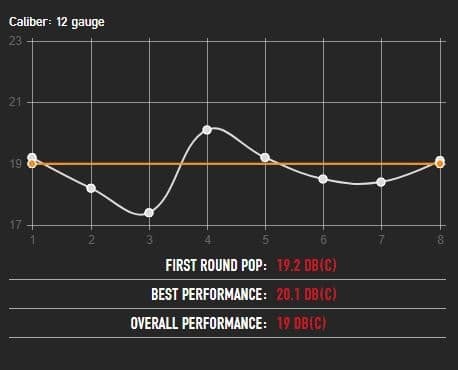 According to the decibel sound level, the average decibel level of a shotgun firing with A12 attached is between 19.2 decibels and 20.1 decibels. 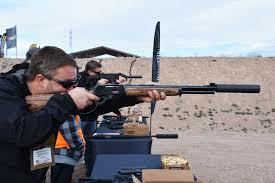 If you shoot a shotgun normally without a silencer, the decibel level would be around 155 decibels. In fact, physicians will tell you that exposure to sounds with a decibel level of over 140 will eventually cause permanent damage to your eardrum. For example, a 20-decibel level is comfortable even without earmuffs. And even if you’re a recreational shooter who isn’t worried about alerting the enemy, it’s still beneficial to have the A-Tec A12 Shotgun Silencer in order to prevent hearing loss. As far as management, the A12 can only be used with wadded birdshot ammunition. Slugs are not recommended to use with this suppressor. Overall, the A12 is easy to install in minutes. It adds some weight to your shotgun, but not much. 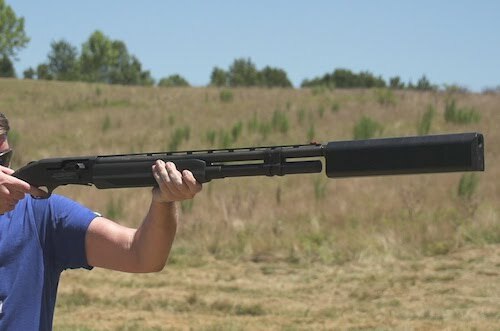 The A-Tec A12 Shotgun Silencer is bonafide excellent. Suppressed firearms of all sorts are something that even the most traditional shooters will embrace with enthusiasm. Suppressors aren’t just a novelty, because at some point, they will grow from simply an option to something shooters should expect. 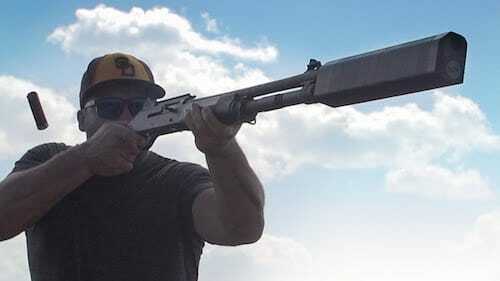 For this reason, the above suppressors are two of the best commercially available shotgun suppressors currently on the market. For additional information on any and all things suppressors, check out The Suppressor Handbook by Patrick Sweeney. Good luck!